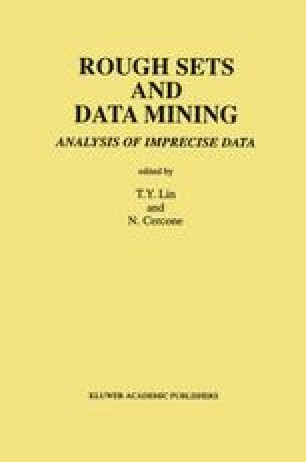 The concept of the rough set is a new mathematical approach to imprecision, vagueness and uncertainty in data analysis. The starting point of the rough set philosophy is the assumption that with every object of interest we associate some information (data, knowledge). E.g., if objects are patients suffering form a certain disease, symptoms of the disease form information about patients. Objects are similar or indiscrenible, if they are characterized by the same information. The indiscernibility relation generated thus is the mathematical basis of the rough set theory.